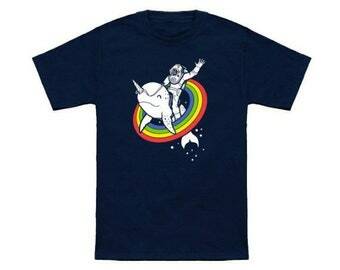 An astronaut riding a unicorn through a rainbow, what could make for a more epic combo? I dare not imagine! 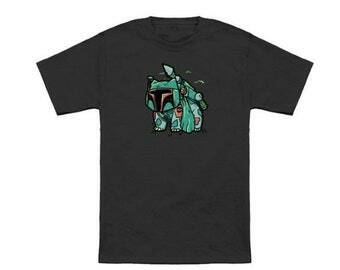 Take your wardrobe to a whole new level of epic-ness with this tee. Epic Combo #23 is one of my most popular designs. It has been featured and sold on many popular online T-shirt sites and now, thanks to my partnership with the wonderful printing people at Neatorama, I can sell T-shirts in my own Etsy shop. This shirt has also been spotted in movies like "Mr. Right" and TV shows like "Limitless", to name a few! 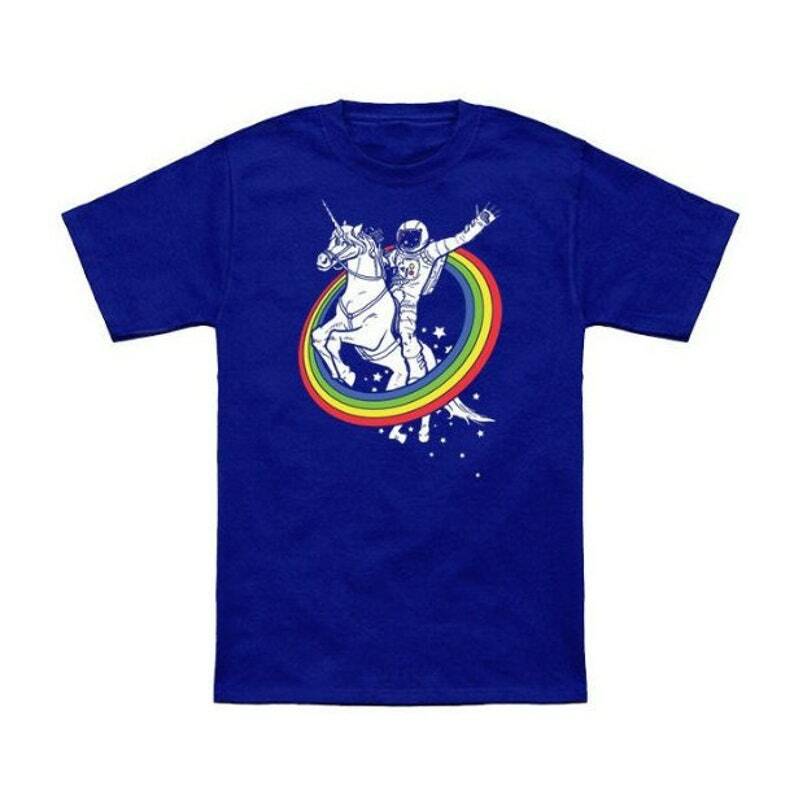 - All t-shirts are printed on-demand just for you using high-quality DTG (direct to garment) printing machines by our extraordinary printing partner, Neatoshop. - Shirts are printed on superior quality 100% pre-shrunk cotton (Sports Grey color options is 90% cotton / 10% polyester) and have tear-away tags for ultimate comfort. - Style options include Unisex Standard Tees, Unisex Ringspun Tees, and Ladies Slim Fit Tees. Please take care to note that Ladies Slim Fit Tees are made using the same super-soft ringspun cotton as our unisex version but are cut for a figure-flattering, baby-doll fit and do run small. - Other styles and sizes are available, however may not be shown! These include Unisex 3XL-6XL, Ladies Curvy Fit, Heavyweight tees, V-Neck tees (Unisex Ringspun & Ladies Slim Fit), Toddler sizes, Kids sizes, and more. Some designs also available in Long-Sleeve, Hoodie, Baby Snapsuit, and Dog tee styles! Please keep in mind that not all colors are available in all sizes. If you want a design on any style or size not shown, please send me a message and I'll see if I can make it work! - Orders typically ship within 3-5 days of ordering, however, please allow for additional manufacturing and transit time during the holiday seasons, as all shirts are made to order. - DOMESTIC USA - Domestic orders will spend, on average, 4-5 business days in transit with standard shipping; please account for this in the case of a time crunch! They will be shipped via USPS or UPS and will include tracking info. - INTERNATIONAL - International orders may take 2 to 10 weeks to arrive by standard shipping and may take longer if your package is held at customs. Please note that international shipping does not include tracking info. **IMPORTANT**, international shipping costs do NOT include any customs fees incurred by countries outside of the USA. Depending on your country's import tax laws, you (the buyer) may be responsible for paying an additional fee once the package is received at the customs office of the destination country. - Expedited shipping is available via shipping upgrades and will advance your order in the shipping queue along with reducing transit time. For international orders, please note that stated transit times may not apply to all locations. For any questions on expedited transit times, please feel free to message me with your address and I will check for you! 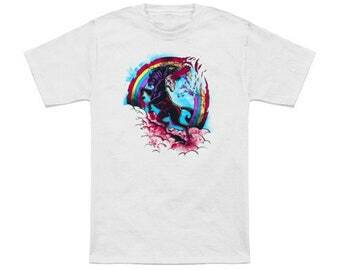 - Make sure all your t-shirts are turned inside out to prevent fading of the vibrant printing. - Avoid washing with high heat, turn settings to cold to preserve your print. 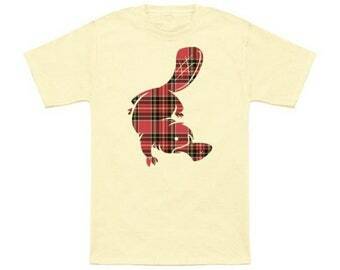 - Iron only while the shirt is inside out to avoid print damage and prevent staining. - As all shirts are custom printed on demand, please understand that I cannot accept returns or exchanges and that all sales are final. Replacements/refunds will only be given in the case of defective prints or wrong item sent. Please note, however, that minor variations can occur due to the nature of the printing process.